Go2Convert is a very rich online tool that aims at helping you to convert images in DPX, EXR, GIF, JPEG, JPEG-2000, PDF, PhotoCD, PNG, Postscript, SVG, and TIFF to the exact format, quality, and size that best suits you. Go2Convert has support for more than 200 input file formats and more than 150 image output formats meaning it is very unlikely to miss out on what you want to achieve. However, our greatest interest in this Go2Convert review lies in the conversion of PDF files into JPG image format. When you get started with this online tool, you will be sure to encounter the features that will be explored by this Go2Convert review article. We will go into finest details so that you have a clear picture of everything Go2Convert has to offer as a PDF to JPG conversion tool. Lets us get started! Go2Convert has a very powerful server that is able to manage files of up to 50MB which is double the size of what most of the other tools can handle. This is ideal when you know you are to process files that are considerably large. Depending on your connection, the upload may take time but once uploaded the PDF file will be converted within no time to JPG. Go2Convert lives on the web and that means no installation files are required to get started. This becomes handy as you save on your Mac or Windows PC resources, especially for the CPU and storage space. In addition to that, Go2Convert provides this service free without the need to register or sign in to get access to the tool. From the moment you access the Go2Convert website, all you need is to upload your PDF file, set the required output options and then convert to JPG. After you have uploaded the PDF file of interest, several options are provided for you to ensure that you get the exact output type you have in mind. Of course, our target file is meant to be in JPG format but other formats are also available. 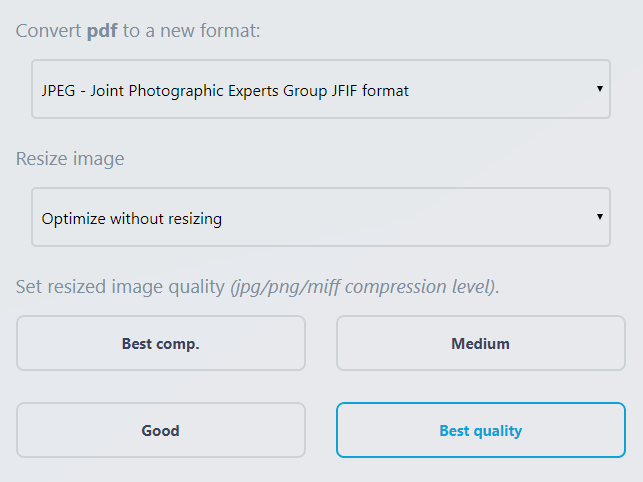 Go2Convert lets you resize the output image by selecting a range of resizing options although you can still optimize the image without resizing. On the other hand, you have total freedom on the quality of the resized image which has to do with the compression level (jpg/png/miff). The qualities to choose from are Best Compression, Medium, Good, and Best quality. It goes without saying in this Go2Convert review that your goal will determine the quality to work with. Details Page – This is a link to the current download page you are taken to access the converted JPG file. It is from this page that you will be able to have information about the original file name, the converted file type together with file size, the number of visits and actual downloads. Take it as a Go2Convert statistics page for your file. Direct Link – Apart from clicking the download button provided by Go2Convert, you can browse this link as an alternative to download the same file. It is also the direct link you would send to other parties for them to access the file directly. Widget Code – In case you have a website where you would like to embed the converted file, Go2Convert provides this widget code that you can just copy and paste where applicable to get access to the file on a widget on the destination website. Forum Code – When you need to add the output file on a forum directly ina post, this is the code you will need and Go2Convert generates this for you free of charge. All that is left is just a matter of copy and paste. HTML Code – If the output file is supposed to be a part of a HTML page, the necessary code is generated for you to get rid of the tedious and hassle of having to write the same code afresh. This makes the adding of converted JPG images to your code even more convenient. 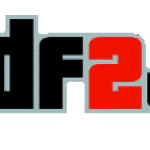 As evident above Go2Convert is indeed very feature-laden to make sure your PDF files are converted to JPGs in the best and most convenient way possible. It has ridden you of any cluttering and unwanted software installations on your Mac or Windows PC with no sign-ins needed. You are guaranteed of no disappointments at all. Try it today!